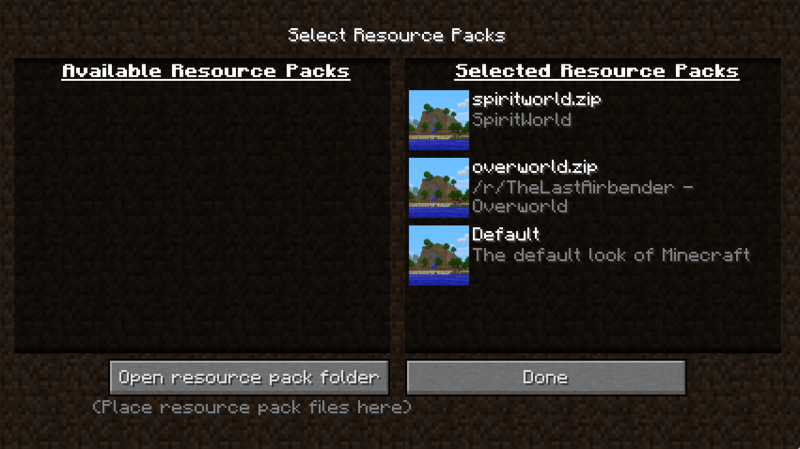 You don't need to manually download the Overworld resource pack, as it will automatically download once you login. You will need to download the Music pack manually. Be aware that your download will not update itself. You will have to redownload it every now and then to keep up with changes. 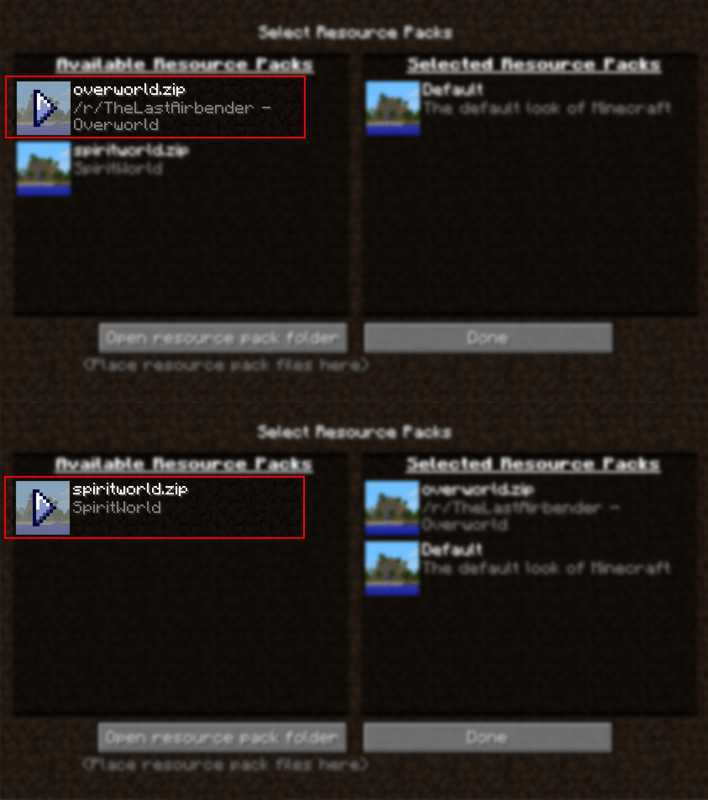 Once downloaded, add the files to your Minecraft resourcepack folder. If you have trouble finding it, please follow the tutorial below. Otherwise skip and continue with step 3. Now place the files in that folder without extracting them. 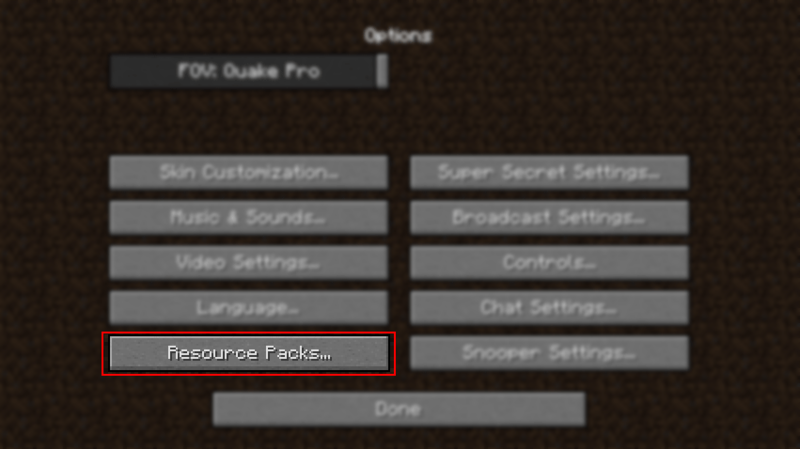 After putting the resource packs into your resourcepack folder you now need to activate them. 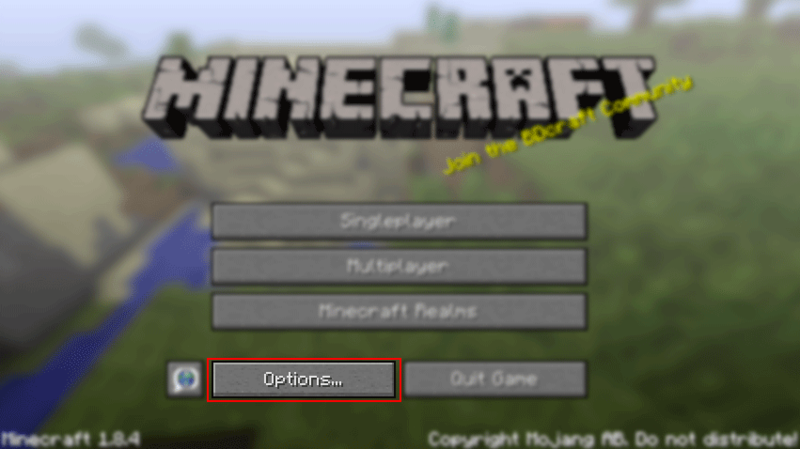 Start Minecraft and click on Options, then on Resource packs and move the downloaded resource packs to the right side of the screen by hovering over them and clicking them. As you can see, the resource pack is on the right side of the screen now which means that it is activated and ready to use. 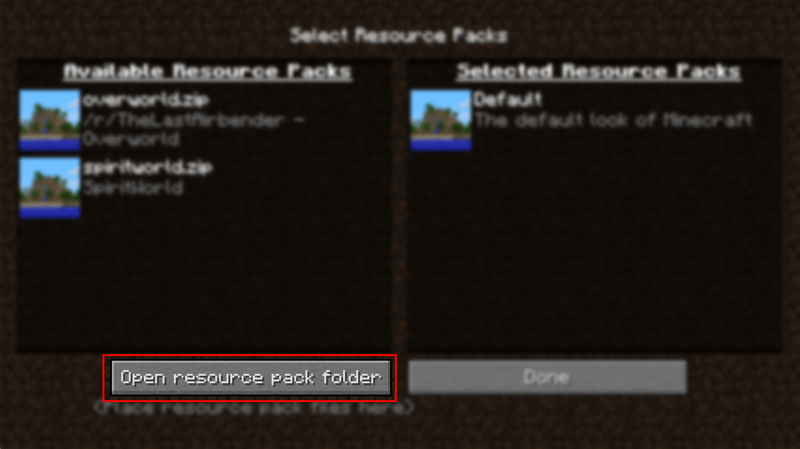 Tip: Disable the server resource pack while creating the server bookmark in order to not get annoyed with in game downloads.